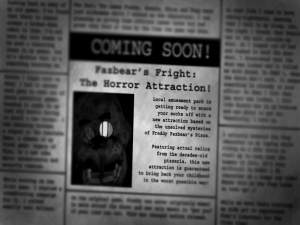 Fazbear’s Fright: The Horror Attraction! 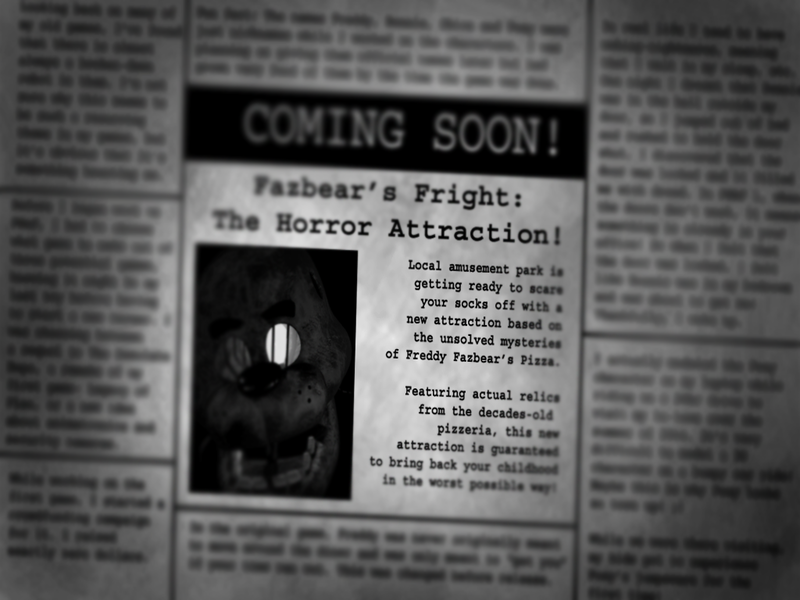 Local amusement park is getting ready to scare your socks off with a new attraction based on the unsolved mysteries of Freddy Fazbear’s Pizza. 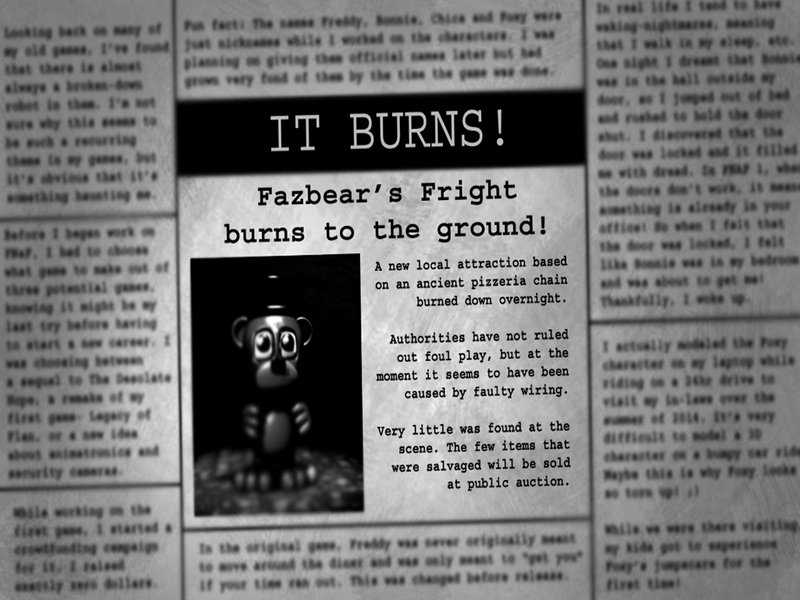 Featuring actual relics from the decades-old pizzeria, this new attraction is guaranteed to bring back your childhood in the worst possible way! 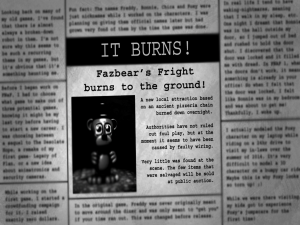 Fazbear’s Fright burns to the ground! A new local attraction based on an ancient pizzeria chain burned down overnight. Authorities have not ruled out foul play, but at the moment it seems to have been caused by faulty wiring. Very little was found at the scene. The few items that were salvaged will be sold at public auction.